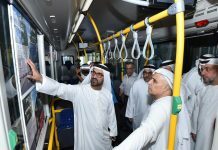 Dubai: Passengers at Dubai International Airport can now avail of comfortable bus rides to and from their hotels as the Roads and Transport Authority (RTA) launches the Sky Bus service from mid-May, Gulf News can reveal. 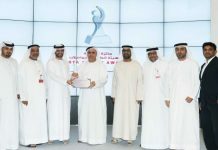 Image Credit: Courtesy: RTA The Sky bus will launch as a pilot project, operating with eight buses on four routes. The service has been launched after a detailed survey of 1,500 tourists. 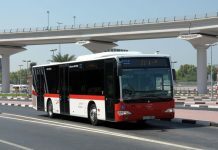 Launched as a pilot project for six months, the new bus service will offer direct connectivity to 26 hotels across the city, operated through eight buses on four routes. 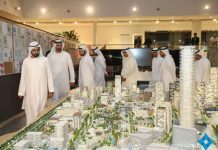 The service will initially start from Terminal 3 and then Terminal 1 at Dubai International Airport. 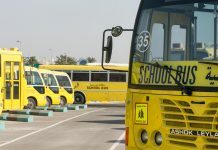 “Our mission is to provide the option of public transport to all people who come to Dubai. Sky Bus service will certainly help tourists reach their hotels quicker, safer and at an affordable rate,” Mohammad Al Ali, Director of Bus Operations at RTA’s Public Transport Agency, said. 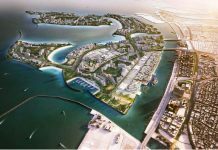 The service, which is tentatively scheduled to start by May 15, was launched following a detailed survey that took into account views of more than 1,500 tourists.